I'll be honest. I didn't start dedicating a full journal for daily gratitude until the beginning of this year. The self-help gurus and inspirational speakers I follow have all recommended this simple daily practice of just taking a few minutes out of the day to write down all of the things you are thankful for. For some reason, it took me a while to jump on this wagon as for years I didn't think it would "do anything," or "make that much of a difference," for me. Now that I've stuck with it for these past 5 months, I've noticed this shift within myself. I've become even more optimistic, open-minded, understanding and most importantly, happier. • Start the morning off with a great sense of appreciation for the day and all of the things that make it beautiful- the sun, the flowers, chirping birds, nature, things that tend to be overlooked. • Reduce those feelings of material "needs"
Yes, you should give this a try! The list doesn't have to be long, or to be done everyday, just as long as you take the time every now and then to appreciate the small things in life. It will make a big difference. 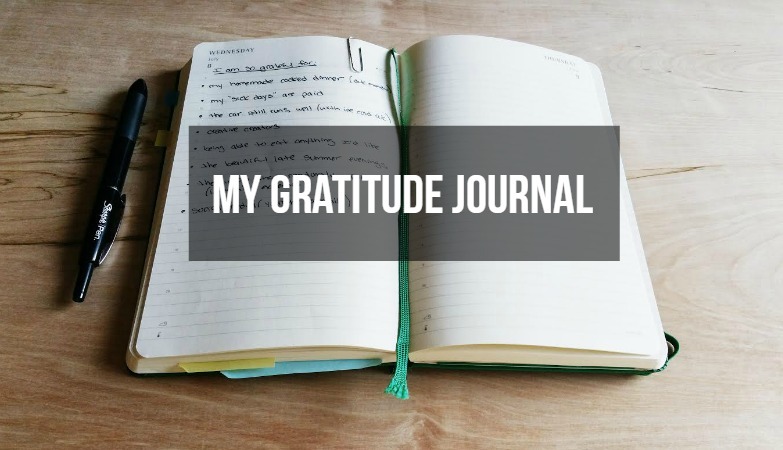 I kind of have an on-and-off moments with my gratitude journal. i agree how it makes me see more of the positive things in life and make me appreciate little things. I have not been doing my journal for months and I think I should start writing again after seeing this. Yes, start writing again! For me, I realize that I always feel much better once everything has been captured in my journal. I'm sure this same feeling will apply to you, too! It's funny how the small, almost repetitive things bring out a great change in us. This seems like a really healthy exercise too. Nice article.Amazing post.Thank you very much for this important post.